Waking up to a view like this is simply breathtaking. The hotel has made the absolute most of this incredible view by laying tables for two along the cliff edge so that you can sit sipping your coffee and eating your cereal while gazing out at the Aegean Sea. 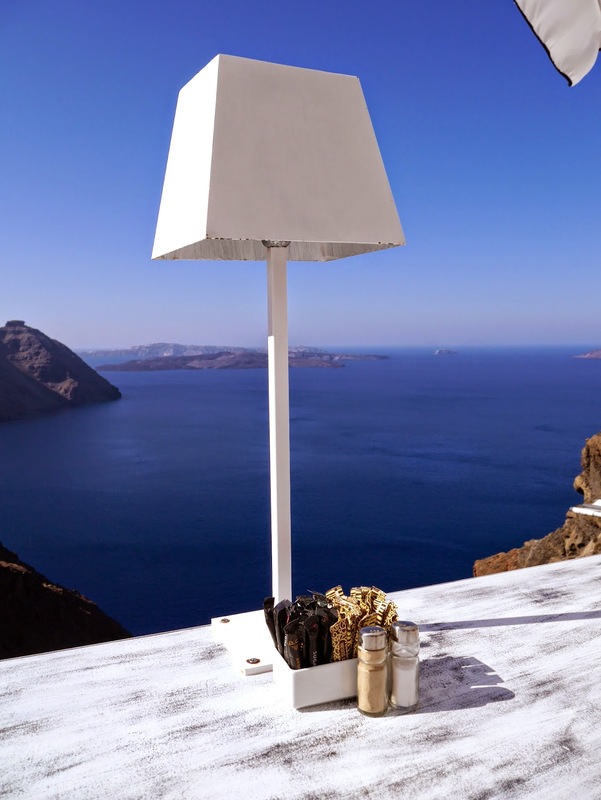 It’s quite surreal looking out at a volcano every morning – Santorini is essentially formed from volcanic rock! I couldn’t fault the breakfast selection at our hotel, San Antonio. 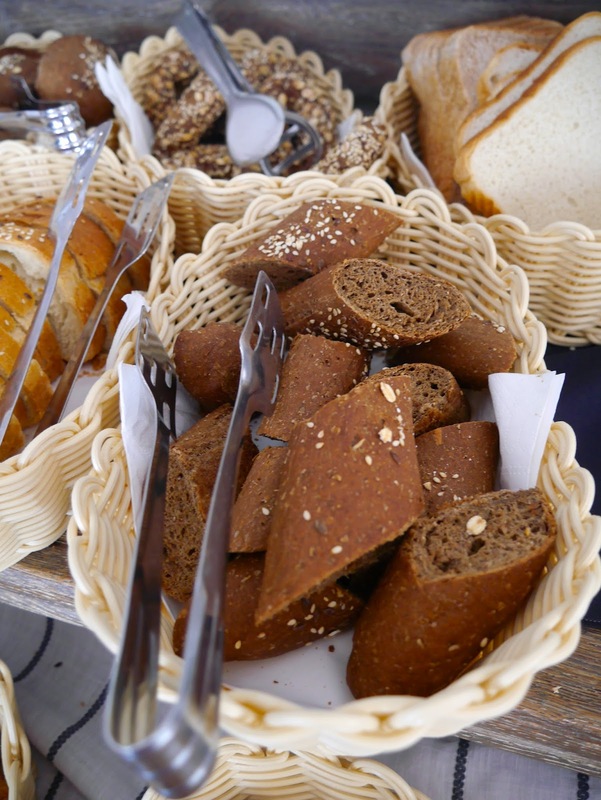 Every morning a selection of bread, fruit, and cooked foods were laid out for guests to help themselves. I got into a routine of having a glass of water and a glass of cranberry juice with a bowl of cereal topped with dried fruits and a plate of watermelon and strawberries. Delicious! My mouth is watering just thinking about it! There was something for everyone – Marcus enjoyed either scrambled eggs or an omelette with cereal and fruit, whereas others tucked into some delicious looking pancakes and waffles with chocolate sauce. I can’t think of a better way to spend the mornings. The rest of the day was spent out at sea on a private boat, jumping into the sea and snorkelling with the fish. Tonight I’ll be posting all about it, so come back later to see a huge photo diary of the day! There’s some good’s and I can’t wait for you to see them!